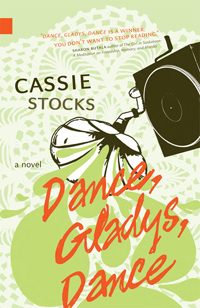 Cassie Stocks is the author of Dance, Gladys, Dance and the most recent recipient of the Stephen Leacock Memorial Award for Canadian Humor Writing (not many women have won this award, so it’s a big deal). For this reason, I picked up the book, which I should also mention was published by the Edmonton publishing house NeWest Press. Another past winner of the award was Terry Fallis, whose writing I absolutely adore, so I knew I’d like this one as well. The protagonist of the story, Frieda Zweig is a fun person to read about; she’s bitingly witty, and doesn’t hold back when offering judgements on the people and situations around her. at 27 years of age, she’s at a cross roads in her life, (which surprised me to realize that Stocks made her so young, to be honest her crises seemed to be that of a woman in her mid-thirties and older, you’ll see what I mean if you read it) and finds an ad in a newspaper that leads her to a whole new group of people that eventually settle in to becoming her surrogate family. 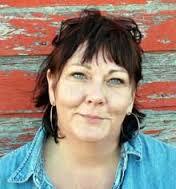 Stocks created this character with some depth as well, Frieda surprised me when she (spoiler alert) rejected her ex, a seemingly perfect man who was dedicated to helping her work past her painter’s block. Aside from coming across as somewhat lazy at times, Frieda’s loyalty to her new group of friends is what gave the story it’s ‘warm and fuzzy’ feeling, which we all need a little more of in Canadian fiction. The plot itself is a bit predictable, but I found the most interesting aspect of the book to be the storyline around ‘art’ and its importance to people and their lives. Stocks is an obvious supporter of the arts, as this message couldn’t have been clearer. Each character, although very different, had an artistic or creative streak, or simply a sincere appreciation of the arts (dance, painting, sculpture, crafting, photography, etc). As a member of the Calgary arts community myself, I couldn’t help but like this book, and silently cheer on the characters while they rallied to support a not-for-profit arts centre. Oh yes, I should also mention that a ghost named Gladys is a part of the storyline, although not in a “spooky” way, more of a “fairy godmother trying to do good” sort of way. Although this gets the most attention in the publisher’s promotional efforts, I personally don’t see it as a pivotal part of the narrative, so it shouldn’t be your deciding factor on whether you read it. Stock’s new and quirky voice should be the reason you buy this book, so take it from me, and pick up a copy for a good summer read. 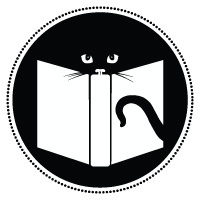 Next Next post: I’vereadthis is on the radio!